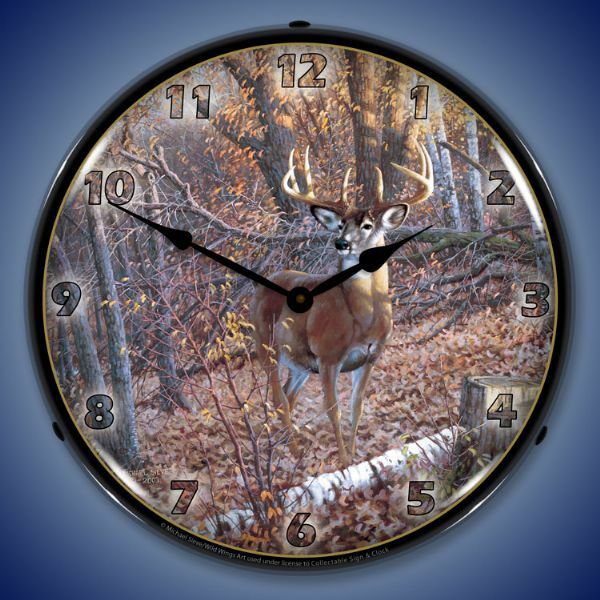 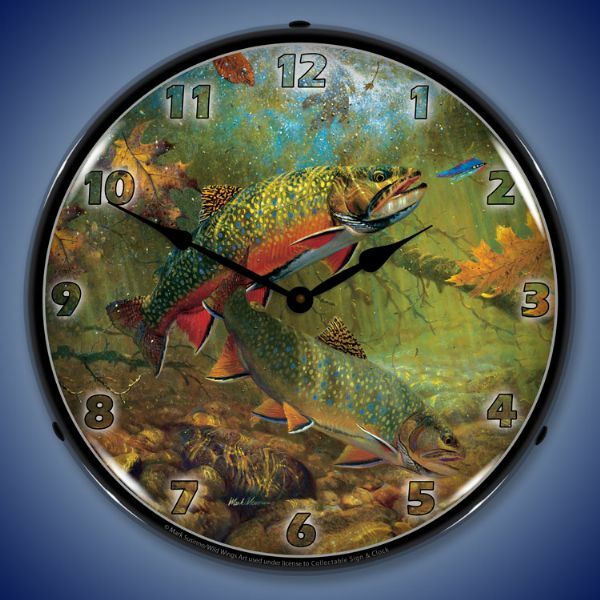 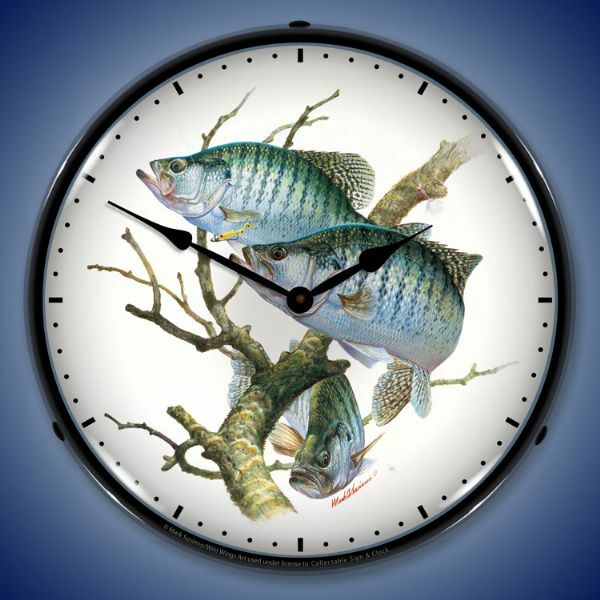 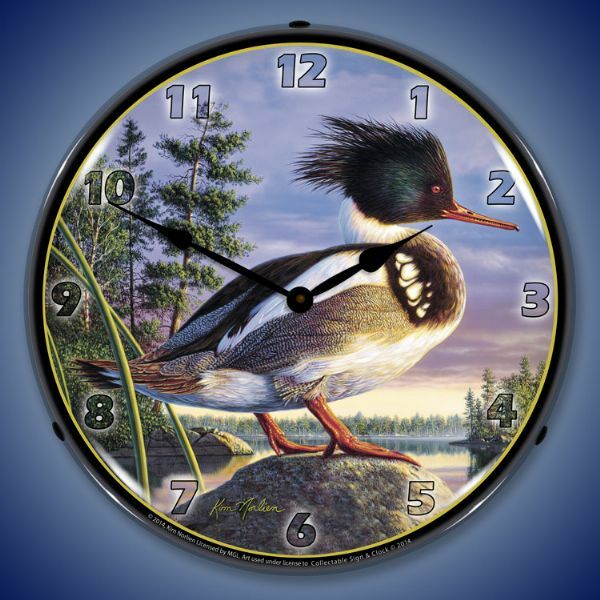 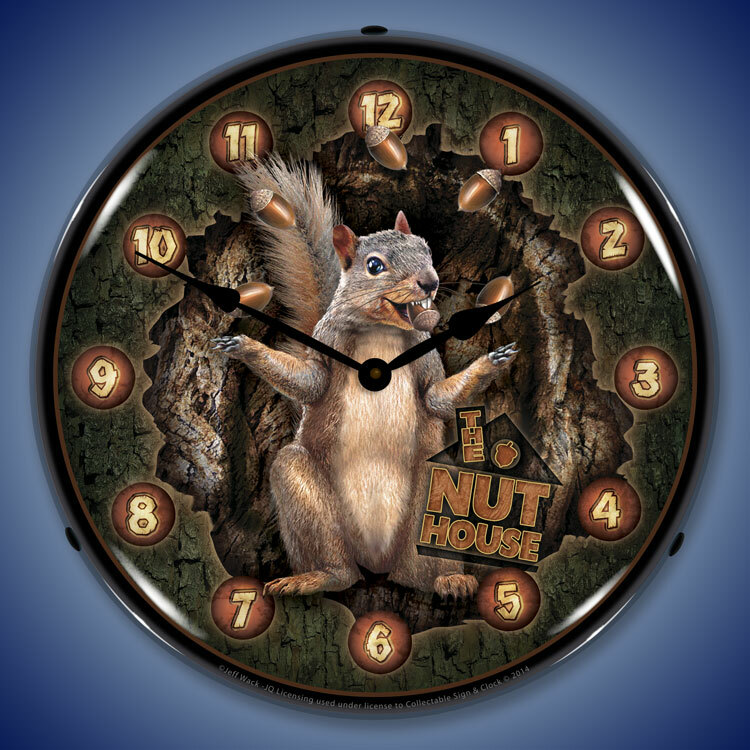 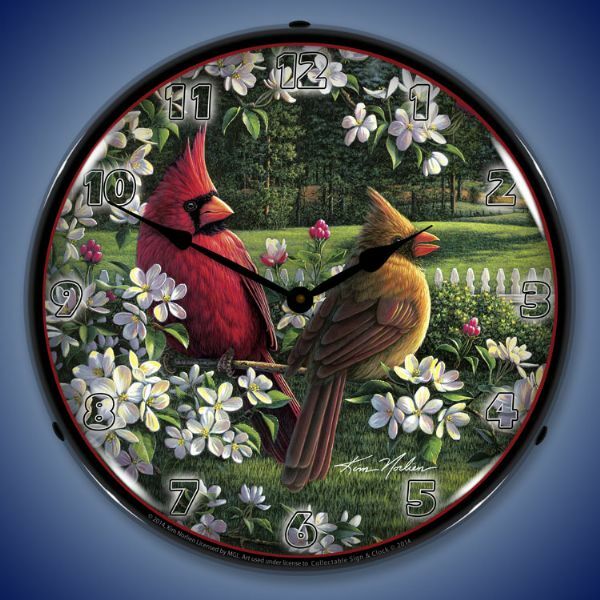 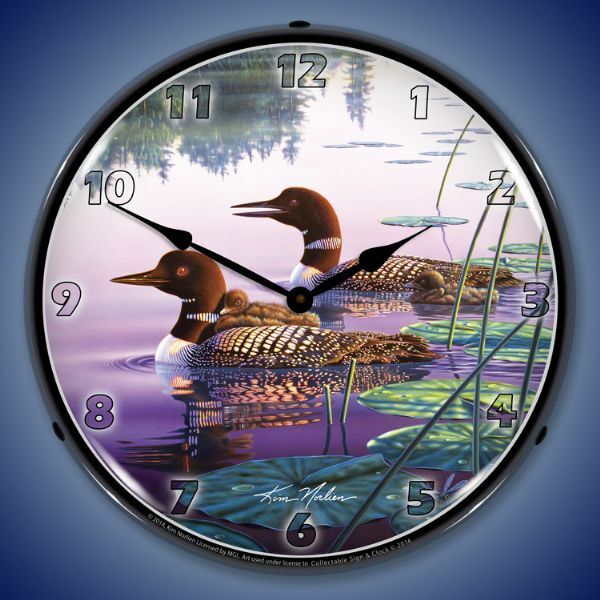 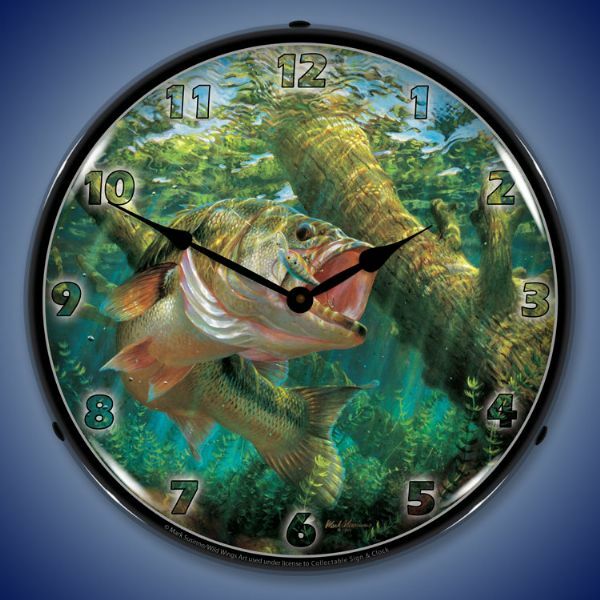 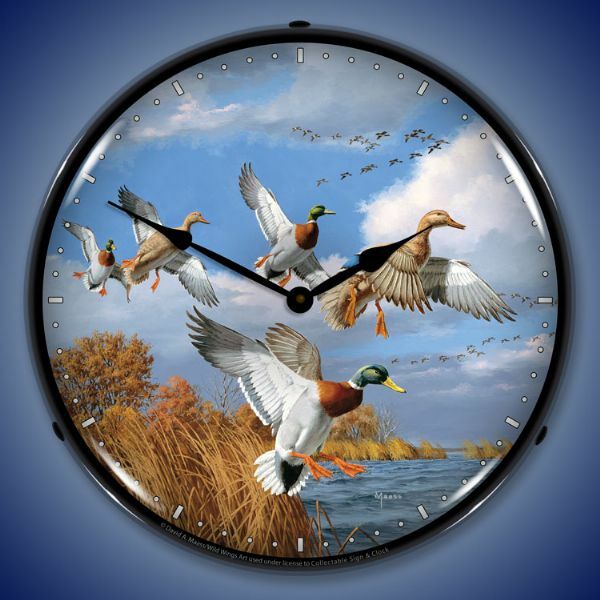 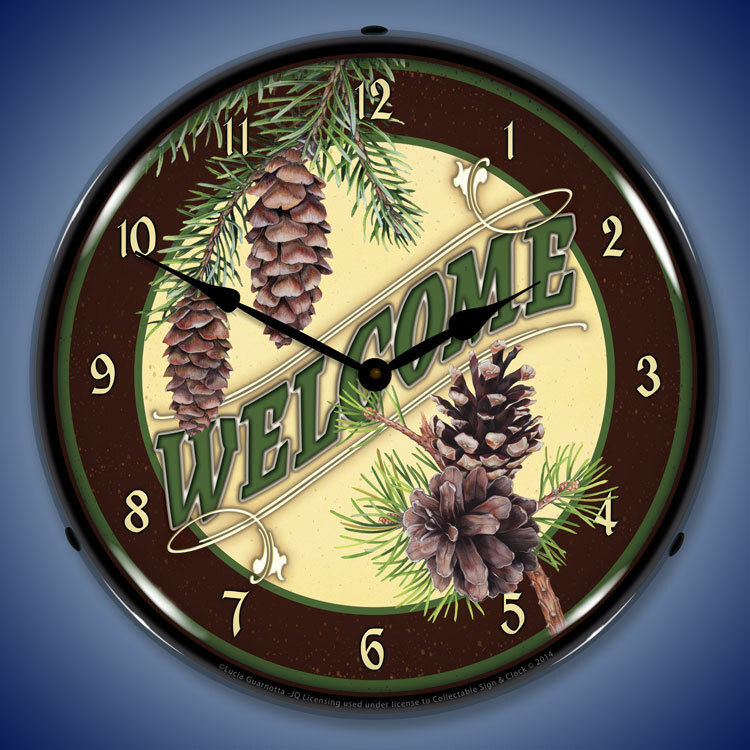 Our inventory of quality wildlife wall clocks are a celebration of nature and innocence. 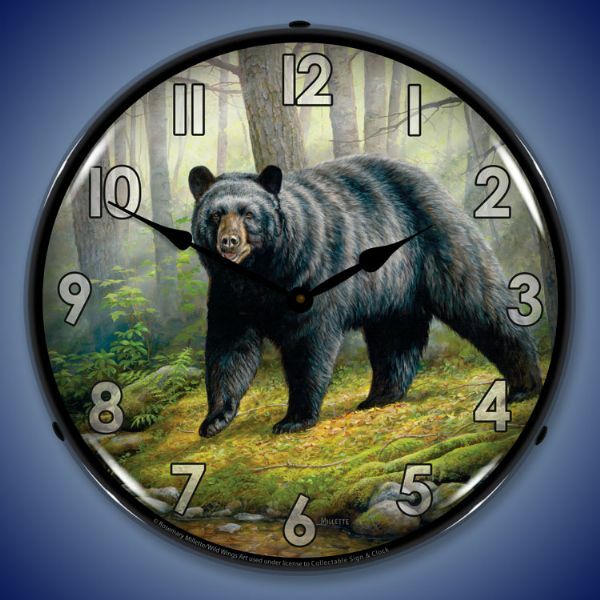 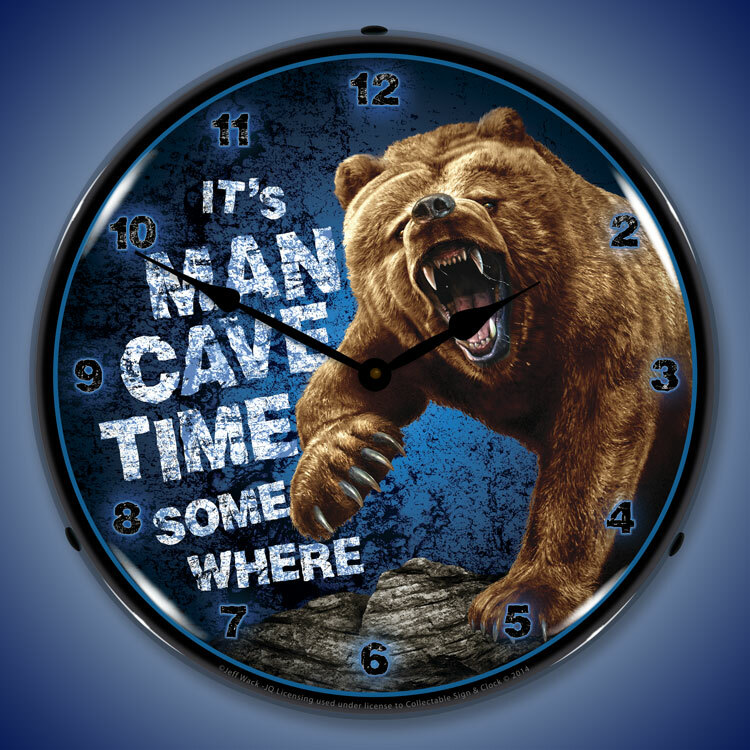 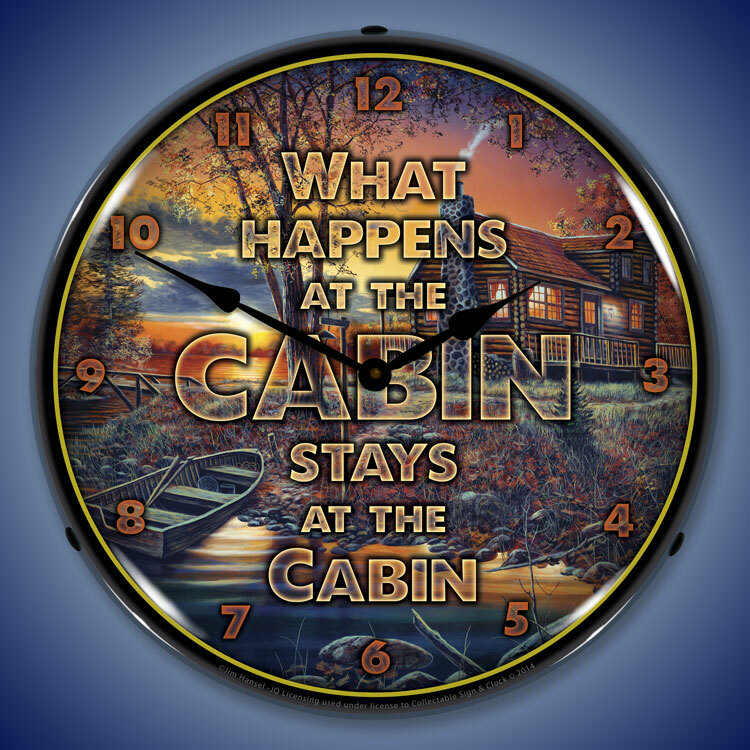 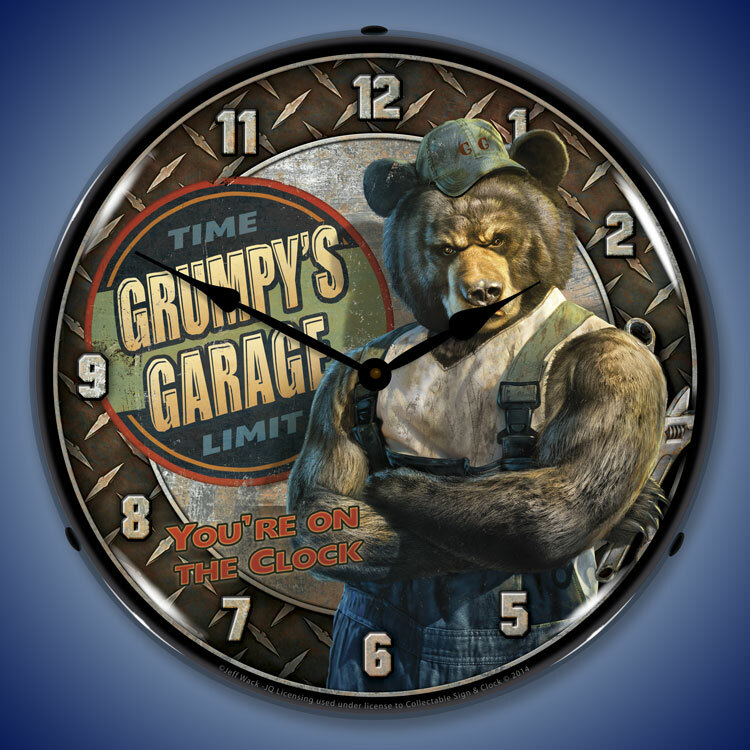 Whether you love the outdoors or animals, these lighted clocks are guaranteed to bring a smile. 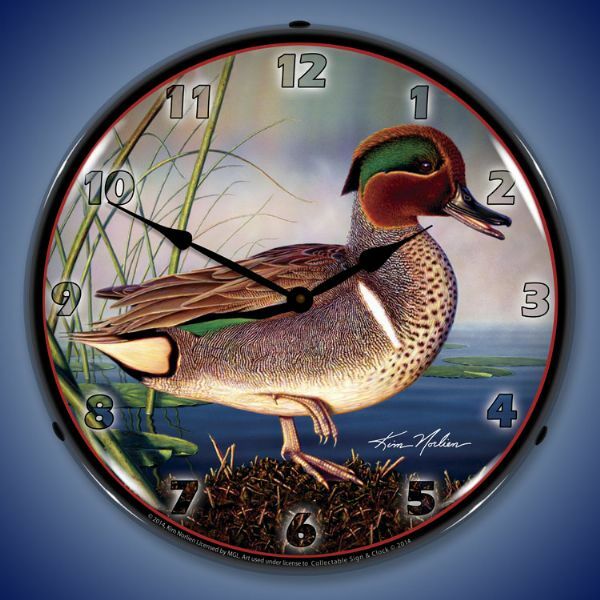 The detailed craftsmanship is evident even in our images. 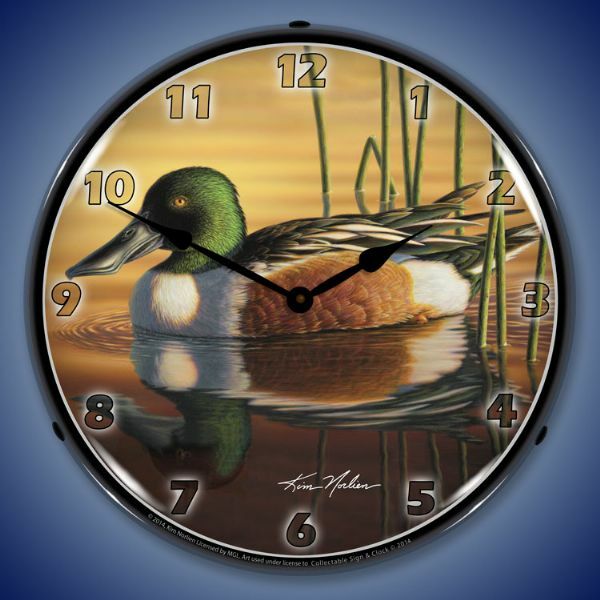 You won�t believe how delicate and beautiful they�ll be on your wall. 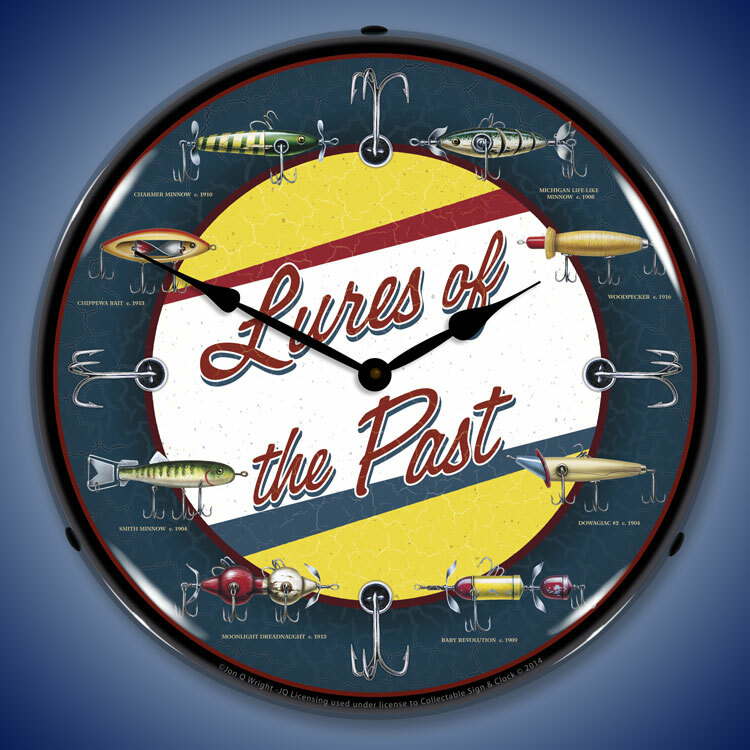 They were crafted to look and feel like the type of vintage time pieces you�d find hanging on the wall in the 1950s at the malt shop. 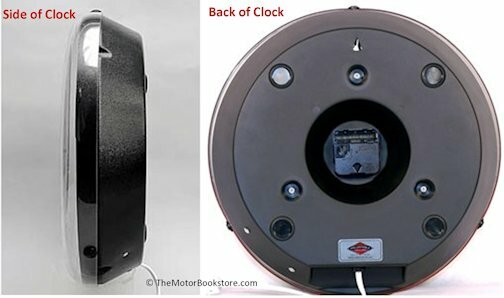 But every design takes advantage of the most advanced 21st century technology. 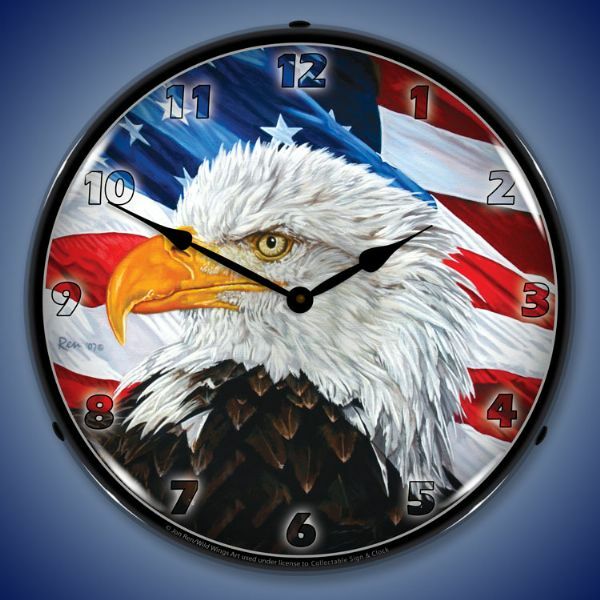 There�s the Let Freedom Ring Eagle featuring the proud bird in a strong pose against a section of the old red, white and blue in a new variation of a classic image. 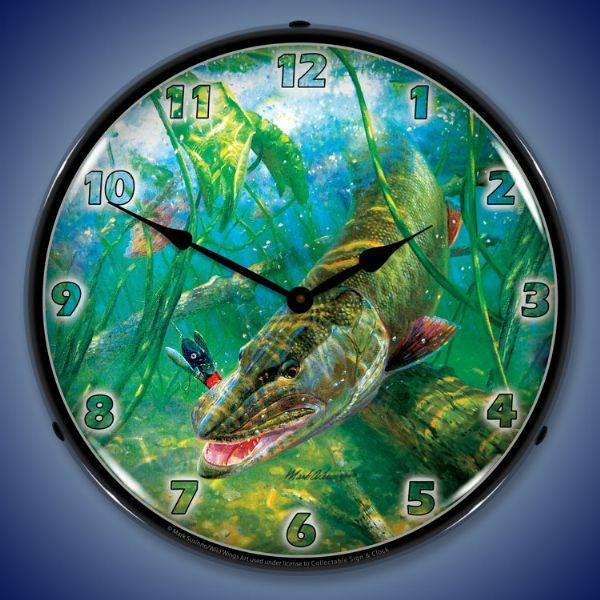 In the Thick of It Muskie is for everyone that wants to light up this hard to catch fish on their walls while they await their next opportunity to reel in their next Muskie Pike. 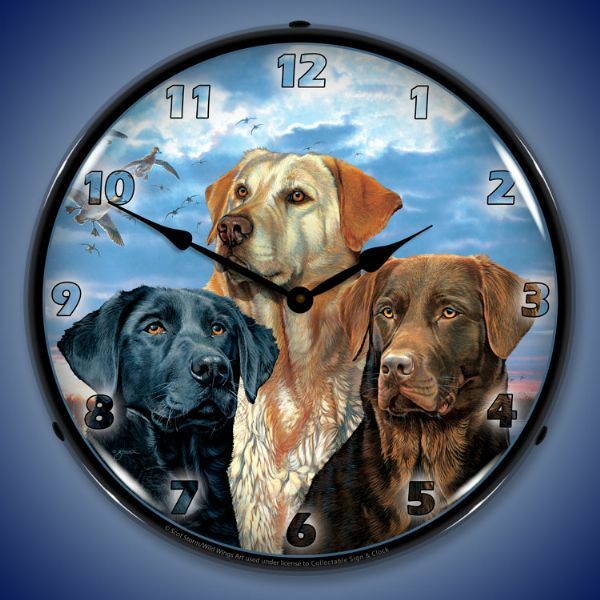 Dog lovers will love their options here. 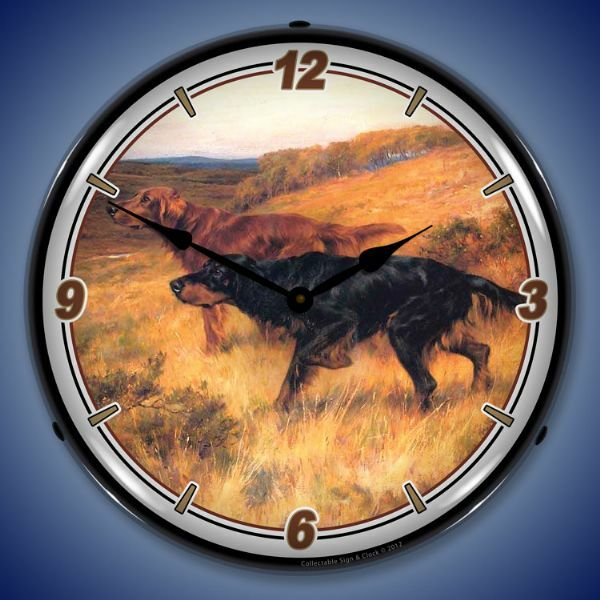 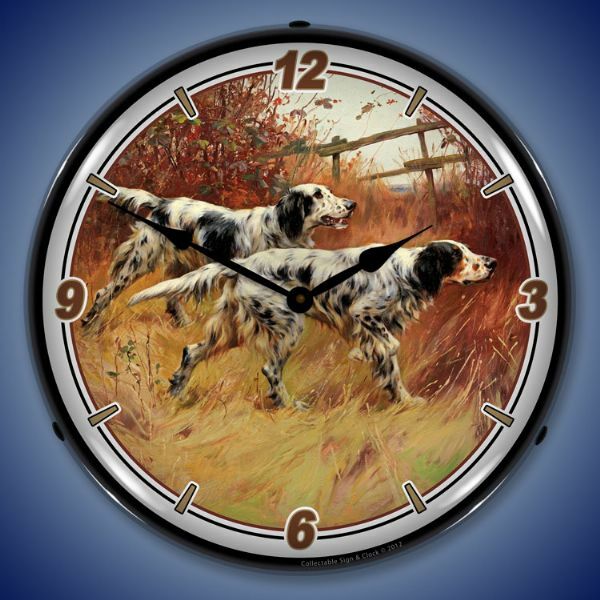 We have quality wildlife wall clocks that celebrate the Labrador retriever and English setters. 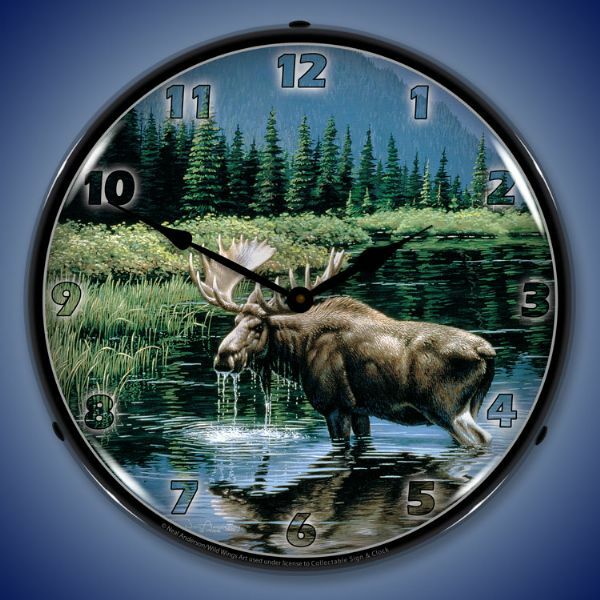 We also have bears, mallards, moose, fish and more. 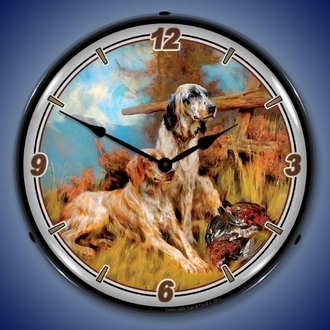 Each clock is a brilliant reproduction of a hand painted image. 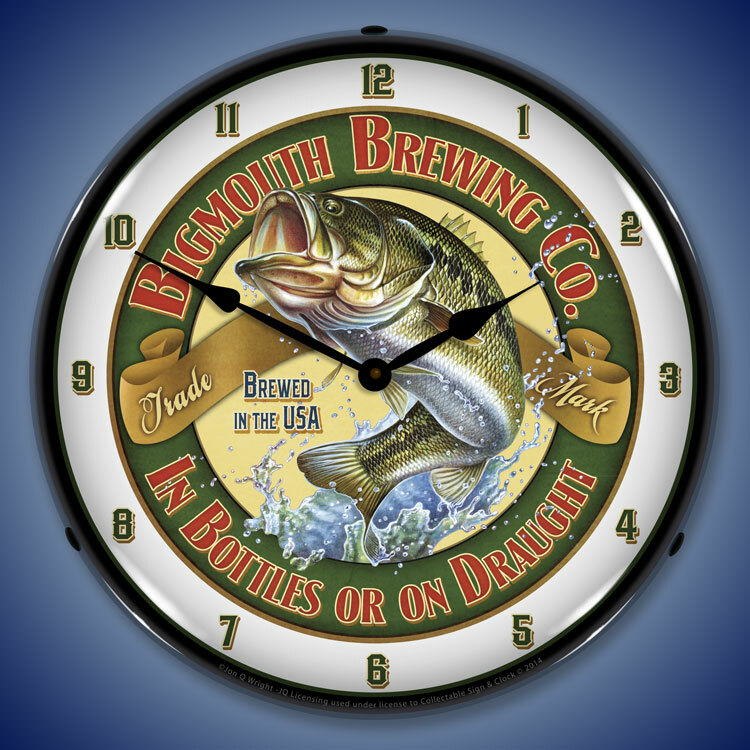 All these clocks were all carefully designed using a CNC router to ensure the image retained its quality. 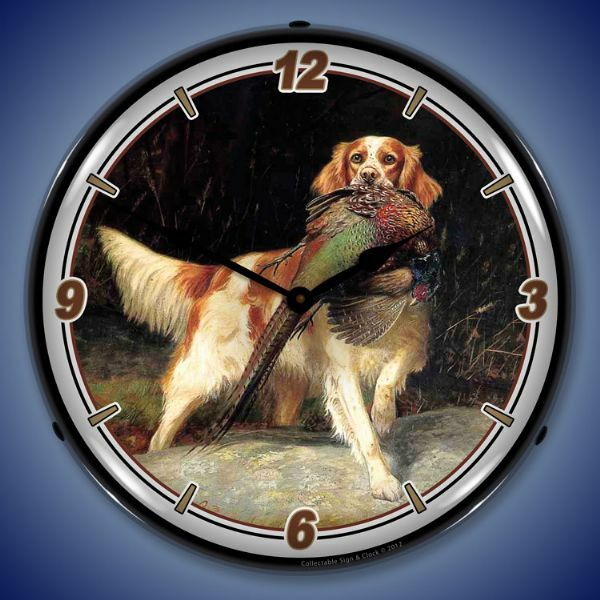 The image was then positioned on the clock face so as not to lose any of its potency. 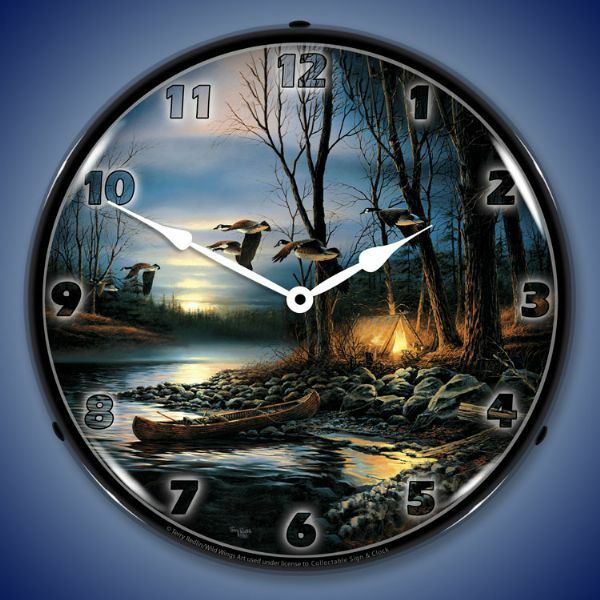 (These images were designed on typical square canvases of course.) 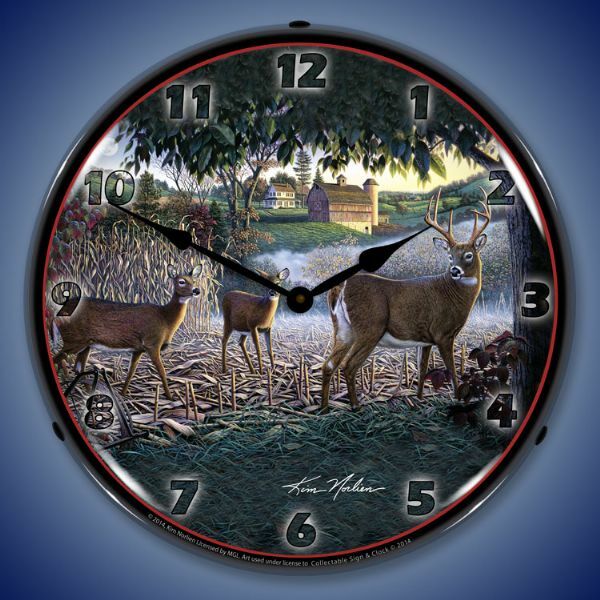 They were placed using a UV dried computer controlled printing process for accuracy and assurance that the color and detail will last for a very long time. 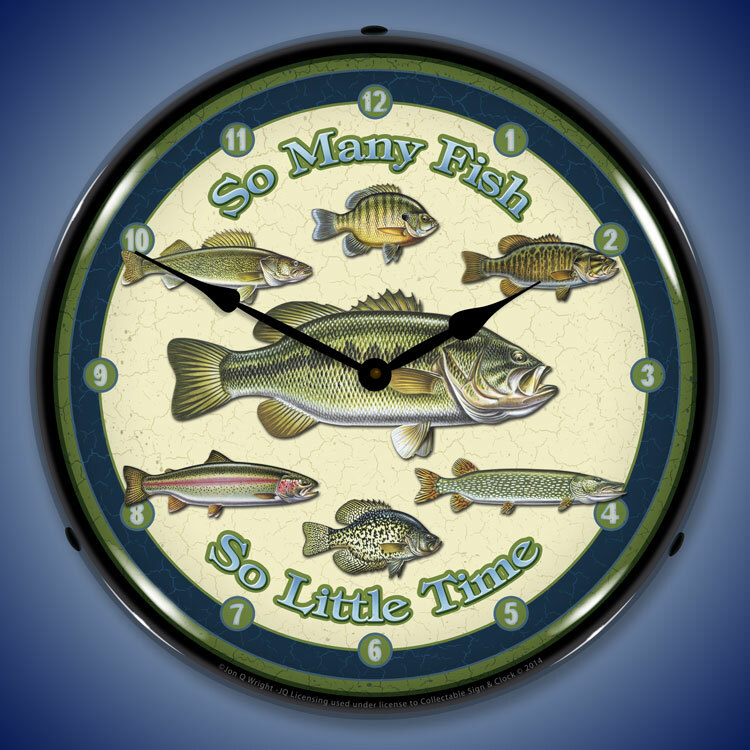 These clocks will be a wonderful accent to any environment. 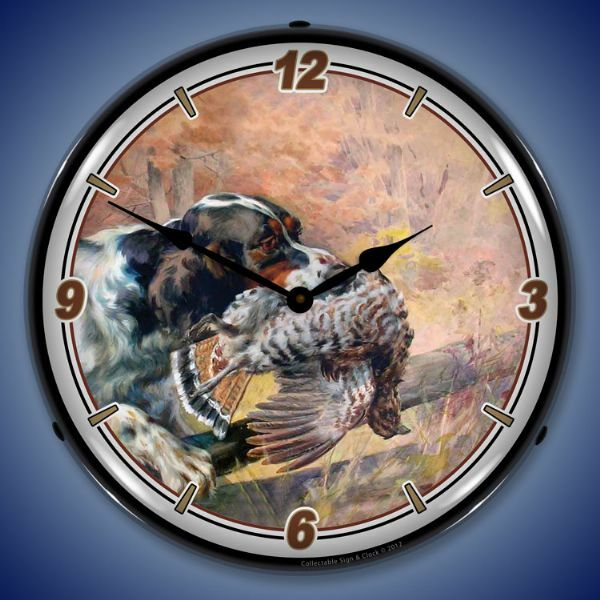 They are a must-have for animal lovers, collectors and admirers of fine art. 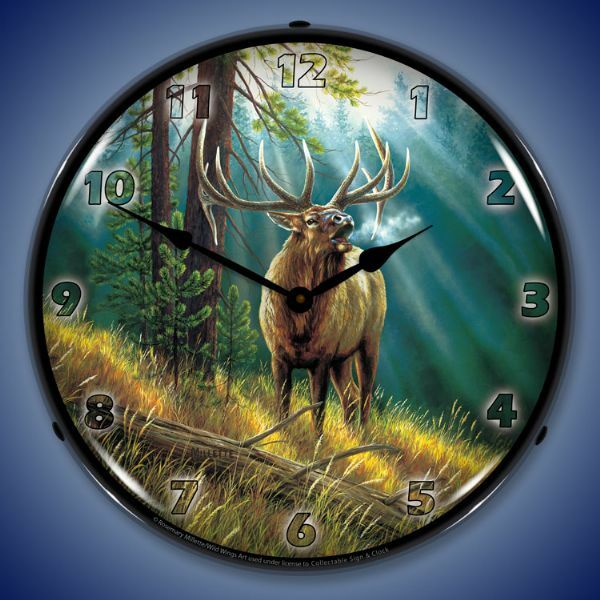 The bulb promises to last for at least 10 years, meaning these high quality wildlife wall clocks offer a long lasting performance. 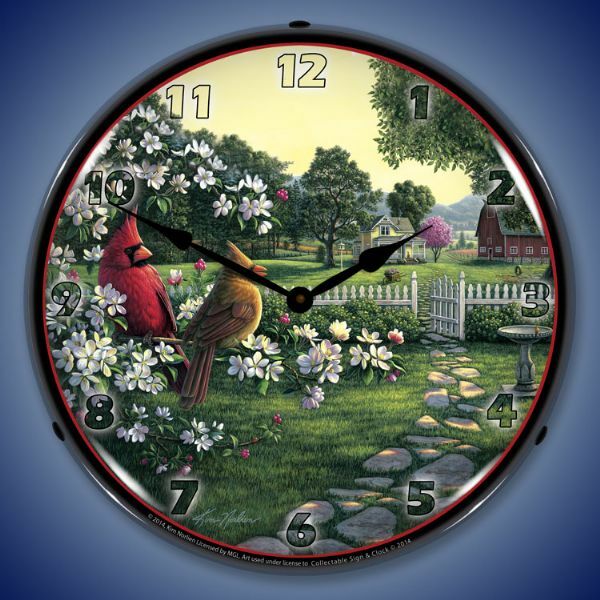 Each clock comes with a one year manufacturer�s warranty.